Along with our allies, we sounded the alarm and built the tech behind the massive online protests that rocked the web this year and drove millions of phone calls, emails, tweets, faxes, and comments to Congress and the FCC. Tens of thousands of websites, subreddits, apps, small businesses, celebrities, and public interest groups participated. 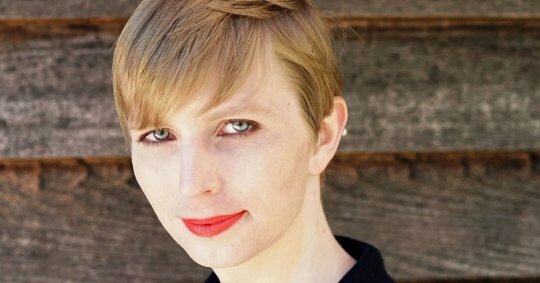 Fight for the Future worked tirelessly to support whistleblower Chelsea Manning while she was in prison, and waged massive online campaigns that helped lay the groundwork for her release. FFTF Campaign Director Evan Greer wrote about her friendship with Chelsea in The Guardian. 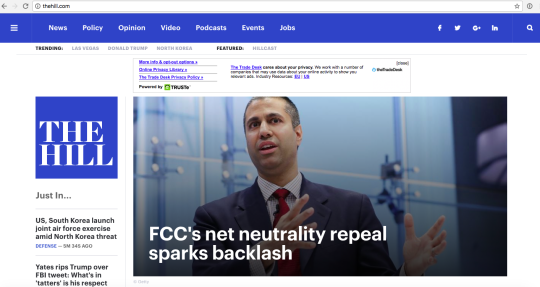 With our friends at Demand Progress and Free Press, volunteers across the country used the Internet to organize hundreds of protests across the country the week before the FCC’s net neutrality vote. Lawmakers felt the impact, while the protests generated widespread local and national TV, radio, and print coverage. 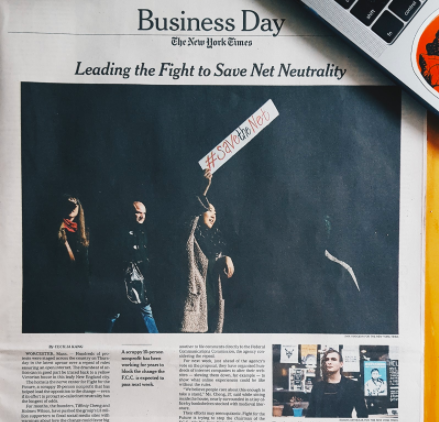 The New York Times dedicated the front page of its Business Section on Friday, December 8, 2017 to a full profile of Fight for the Future and our unique role combining tech and strategy to mobilize massive numbers of people to fight for net neutrality and Internet freedom. 2017 brought heightened awareness and threats of government and corporate surveillance, particularly for marginalized communities. 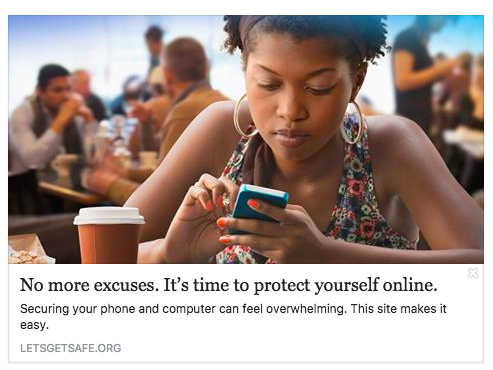 We built #GetSafe, the Internet’s simplest digital security starter guide. It makes it easy for everyone to start securing their phones and computers. 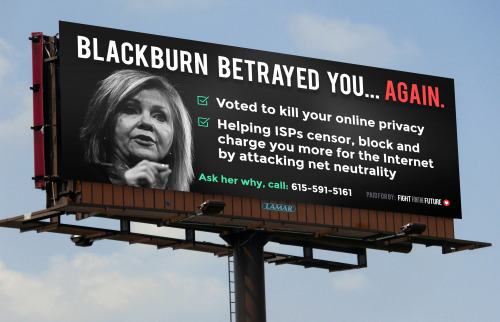 Fight for the Future members chipped in small amounts to collectively raise more than $40,000 through online crowdfunding campaigns to put up billboards exposing members of Congress who took big money from the telecom industry and then voted to gut net neutrality and Internet privacy. The Internet loved them. Politicians hated them. They had a huge impact on Congress and generated major local and national media coverage. 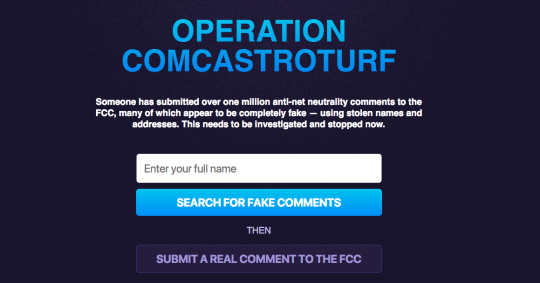 Our Comcastroturf.com tool helped Internet users collectively investigate fraudulent comments submitted to the FCC’s net neutrality docket using stolen identities and helped spark major investigations from members of Congress, Attorneys General, the Wall Street Journal, the Government Accountability Office, and many others. 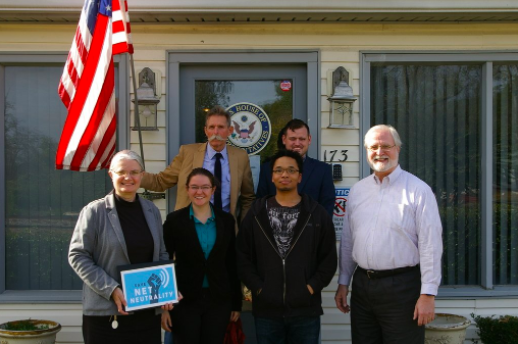 With our friends at Demand Progress and Free Press, we helped build Team Internet, a network of more than half a million net neutrality supporters and thousands of volunteers across the U.S. using peer-to-peer text messaging tools and other tech to coordinate hundreds of in-person meetings, drop-ins, and other face-to-face events in lawmakers’ own backyards. The telecom lobby poured enormous amounts of money into trying to turn net neutrality into a partisan issue, dividing Internet users left vs right. They failed. We actively worked to organize Internet users from across the political spectrum, and poll after poll shows that we’re winning. 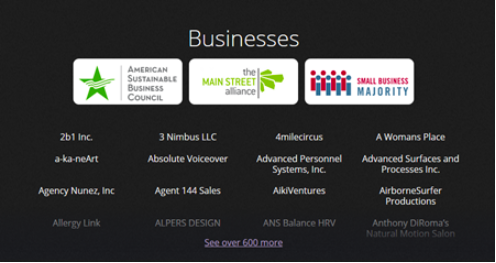 We helped hundreds of small businesses, entrepreneurs, and startups to make their voices heard through sign-on letters, meetings with lawmakers, and days of action. 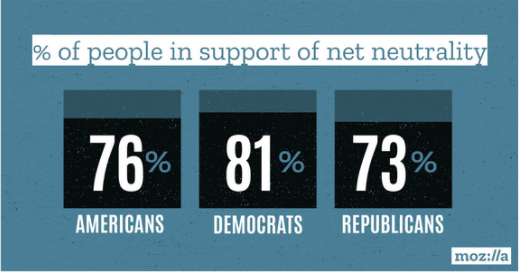 We helped the world understand why net neutrality is important for small businesses, startups, and the economy, which has played a critical role in building support with lawmakers. Fight for the Future staff were interviewed by the Wall Street Journal, the Washington Post, Rolling Stone, Time Magazine, Politico, CNN, The Atlantic, NPR, Ars Technica, The Hill, Wired, NBC, Los Angeles Times, CBS, Pitchfork, BBC, The Guardian, The Daily Caller, Reuters, Fox News, and dozens of other outlets. We’re pushing issues of digital rights and internet freedom into the mainstream.